If you’re spending plenty of time in nature, then you’re probably aware that wearing a good-quality watch is a must-have – not only it’ll allow you to keep track of time in the wild but it also might even save your life! But how are you supposed to pick the best survival watch for your needs? A great survival watch should have plenty of features – no matter whether you forgot a compass or have trouble deciding when the next storm is about to hit, a survival watch may easily become one of your best friends out in the wild. In order to help you out with your decision-making process, we’ve gone over some of the features that may matter the most when it comes to watches. We’ve also included a list of products that should help you compare watches and get a better sense of what you might like best. Follow up to learn more! We believe the following features could be pretty important when it comes to picking a good survival watch. However, remember to always take your needs into consideration as well. The performance is very important when it comes to survival watches – after all, you have to be able to rely on them in times of emergency. A good survival watch will always show the accurate time – you don’t want it to fall behind even for a few minutes. If possible, it’d be good to find a clock that calibrates itself a few times throughout the day via radio signals, as that’s one way to make sure it’ll always be on time. On top of that, having a watch that shows you the sunrise and sunset times may be of value as well – it’ll help you organize your day better and make sure you stay on top of things all the time. The battery of your survival watch is what it’ll keep it going even in emergency situations. A decent watch will save you the trouble of worrying about replacing your battery or charging it in the middle of the field. Best models on the market may be the ones that are solar powered or kinetic. However, bear in mind that these come with a heftier price tag. On the other side, you wouldn’t need to worry about battery life with mechanical watches but you will need to wind them daily so they work. The safest bet would be to get an automatic watch that will use your kinetic energy to keep itself powered up. The water resistance is extremely important in survival watches, as it allows you wear your watch in different environments. The water resistance feature is measured in feet, as in how deep you can carry your watch so it still works. Most of the survival watches on the market are water-resistant and should be able to sustain the occasional rainy day. However, if you know you’ll be deep-diving, then it may be for the best to make sure your model can handle the pressure. A feature that goes hand in hand with the water resistance is the shockproof option, as it’ll make sure your watch stays in one piece by the end of your adventure. The design of the watch doesn’t only relate to its appearance – even though you should be keen about the way your watch looks and feels on your hand. The design, as well as the materials used, directly impact the size and the weight of it. Different watches can be made from a variety of different materials, ranging from tougher titanium to some shock-resistant plastics. The most important thing to pay attention as far as the material is concerned is that ideally, you’ll want your watch to be light but sturdy at the same time. The material used for the band also matters – it should feel comfortable and not cut into your skin. While a band made out of some sort of a metal isn’t that bad, because it is extremely durable, you might want to get some sort of a rubber wristband for a better feeling during wear time. A decent survival watch should include a variety of other features and gadgets – some models may even include more than a dozen additional functions! These include things like a barometer, an altimeter, a compass, a working GPS and so on. Choose the additional features according to where and when you’ll be using the watch the most. For instance, if you go often on hikes in a rainy area, then a watch with a barometer may be extremely useful, as it’ll warn you about upcoming rain. Bearing all of that in mind, let’s move on to the part with the actual reviews. Here are some of the survival watches available on the market that we believe may be worth the mention. Dimensions: 5.9 x 5.9 x 5.9 in. Specific features: Quartz movement; special features (stopwatch, compass, altimeter & alarm); calendar; bi-directional bezel movement; resin bezel material; silver band color; 18 mm band width; Men’s-Standard band length; titanium band; 15.3 mm case thickness; 5.1 cm case diameter; stainless steel case material; double locking fold over clasp; and digital display. 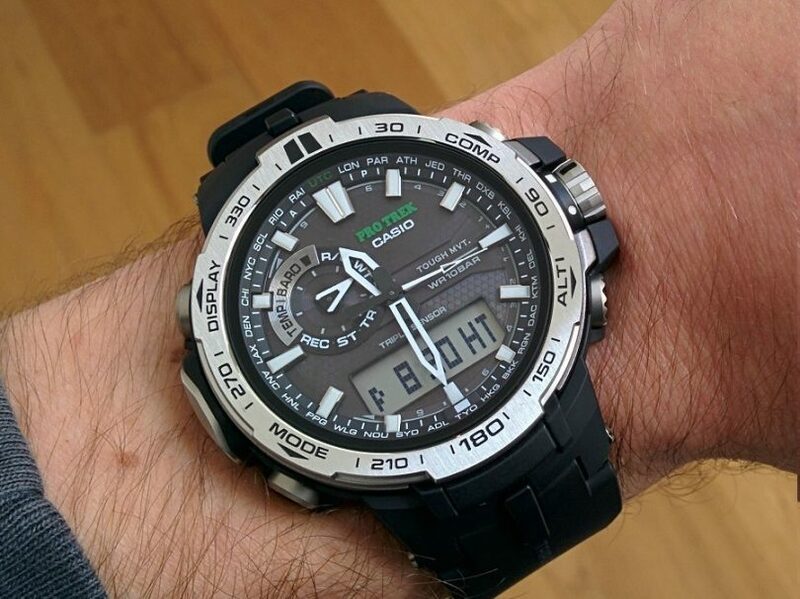 Description: The Casio PAG240T-7CR Pathfinder Watch is one of the most resourceful Casio Men’s series of watches. The watch is solar-powered installed with a triple sensor that provides a compass, thermometer, barometer, and altimeter info. Even though it weighs only 4 ounces, the watch is configured with low-temperature resistance, a feature that protects the timepiece from extreme weather conditions. 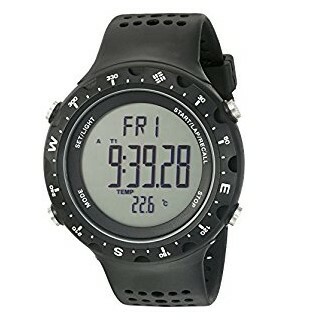 It is also fitted with a number of other operations, such as a full auto calendar, a stopwatch, five daily alarms, on/off daylight saving, world time, and backlight with after-glow capabilities. It has unique case design and heavy-duty stainless steel case material. Therefore, it can withstand wet or cold conditions without damage and should serve you for years. It is water resistant and it can be submerged to a depth of 330 feet without getting damaged. It keeps time as you would expect it to, you will find it on the exact second if you confirm the time with your atomic clock. In general, this is a fun timepiece to have, it looks unquestionably great. You will like it from first sight. Related: The Casio Solar Watch Charger looks like an item from the future – it’s a quick way to charge your solar watches and get that much-needed energy boost! The charger works for both men and women watches and it powers itself through a USB cable. Even though it charges the watch, it never overheats it, thus making it ideal for every solar-powered watch. Dimensions: 6.1 x 5.2 x 3.6 in. 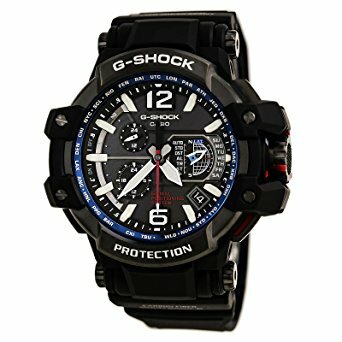 Description: The Casio G-Shock MRG-7600D-1BJF 6 Multibands particular timepiece is usually imported to the United States. It has anti-glare scratch-proof sapphire crystal coating. The watch feels comfortable when you wear it because the locking clasp keeps it well-secured on your wrist. This is the kind of watch you need to have when jumping over a waterfall since it is water-resistant up to 200 meters of depth. It has a complete automatic calendar and a stopwatch (with a split, 24 time counter, & 1/100 second). When you are in the dark, the watch will kill the display after a while in order to save on power. It features world time consisting of the clock for forty-eight cities w/ twenty-nine time zones. 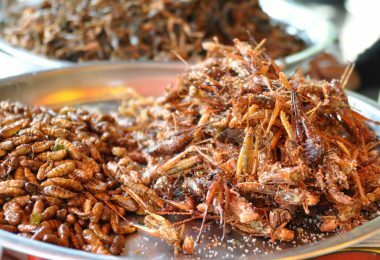 You might decide to research this piece, but there isn’t much info on it out there. However, it is one of the best Casio has ever delivered. It looks amazing; it’s ultra-lightweight and comfortable to wear. Actually, it is the easiest timepiece to size as well as fit on small wrists. You should not be worried when you misplace it in the dark because you can use the three raised bumps situated under the light button to locate it. Related: Any survival kit wouldn’t be complete without a First Aid kit – and the First Aid 140-piece Kit should do its job well enough. Made to meet the highest possible standards, the kit is compact and light enough to be stored anywhere. At the same time, it has everything you could need in a time of emergency and is convenient to be used both at home and outdoors. Dimensions: 5 x 4 x 8 in. 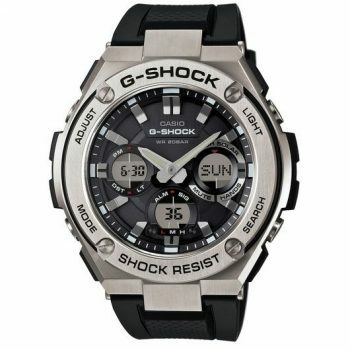 Description: Among other impressive Casio watches, Casio G9300-1 Mudman G-Shock Watch is made in the United States. 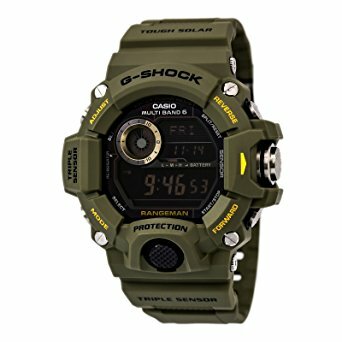 This is one of the best military, hunting, and camping watch. This should be one of the most convenient alternatives if you don’t want to spend a great deal of money while getting a good quality watch. The watch comes with a well-constructed case designed from resin – that means you won’t have to worry about the durability of the watch. 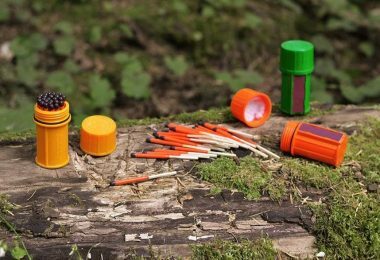 Other features include a thermometer, a solar-charging system and a digital compass that make this the perfect model for different kinds of outdoor activities. You can comfortably dive into the water without it getting damaged, as long as you do not exceed a depth of 660 feet. The light is satisfactory even though it is challenging to have the backlight switched on while you are going through the backlight modes. The only major problem that you might encounter while using this watch is the battery life. The battery may fail to last for the stated timespan, which is eight months. However, the least amount of time it can go without charge is two months. Related: The Storm Alert Whistle may really be the loudest whistle out there – in fact, it’s so powerful it can even be heard up to 50 feet underwater. The whistle has a unique chamber that pushes all the water out when the whistle is blown, making it a suitable survival tool for everyone, both adults and kids. 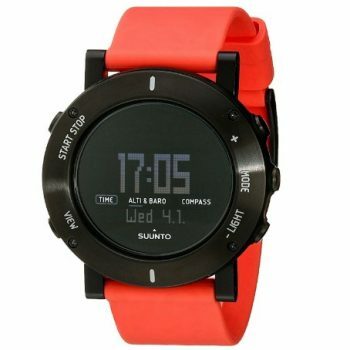 Description: Weighing only 2.26 ounces, Suunto Core Wrist-Top Computer Watch is one of the most resourceful and versatile timepieces for the money. It is designed to provide you with remarkable performance during plenty of outdoor activities, such as cycling, hiking, or camping. The watch includes some striking features – to begin with, it can detect an imminent storm even if the sky is crystal clear. This is one of the features that may make the watch a worthy purchase. The intelligent storm alarm detects every a sudden drop in the air pressure over a 180-minute time frame and it should go off almost immediately. The inbuilt altimeter records your performance on the terrain for future analysis, such as the distance you have climbed or descended. You can easily find a better spot to relax or a better route to follow with the help of the altimeter. The inbuilt barometer; on the other hand, registers air pressure, which is helpful when forecasting changing weather conditions. It has a water-resistant depth of 100 feet, meaning that you can use it within such depth without damaging it. The watch comes available with multiple language options besides English – you can also use the menu in Spanish, French or German. Related: The Suunto Core Accessory Strap is compatible with your Suunto Computer Watch – in fact, you can pick a variety of colors to personalize your watch even more. Made out of rubber and aluminum, the strap should allow for a comfortable wear. On top of that, the manufacturer has included a one-year warranty with it. 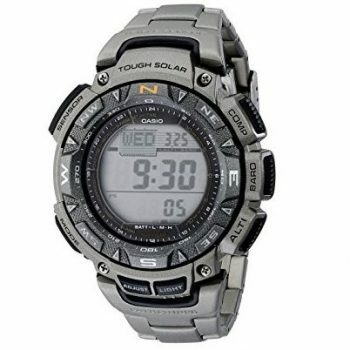 Description: The Columbia Singletrak CT004 Digital Watch could prove as a good worth for the money. 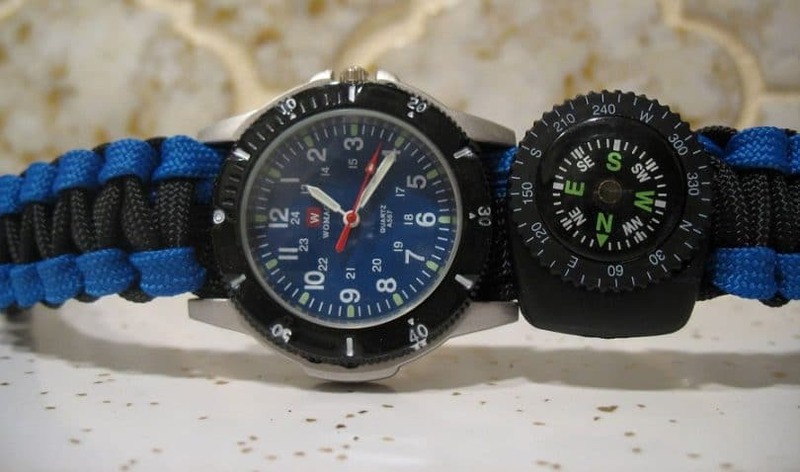 It is a survival watch with a round shape design that comes with a variety of features that an outdoor enthusiast or survivalist might find useful. Some of the features include a digital thermometer and digital compass bezel. The digital thermometer allows you to observe the temperature of the area you are in as you are camping, biking, hiking or mountaineering. On top of that, the digital compass provides you with means of navigating the area without any problems. The forty-eight millimeters plastic case is considered pretty heavy-duty. Combined with the along with the mineral dial window, this means the watch isn’t only compact but it’s also built to survive harsh conditions. The watch comes with a perforated polyurethane band along with a buckle closure. The band material is highly durable, and the band is very easy to be locked or unlocked. 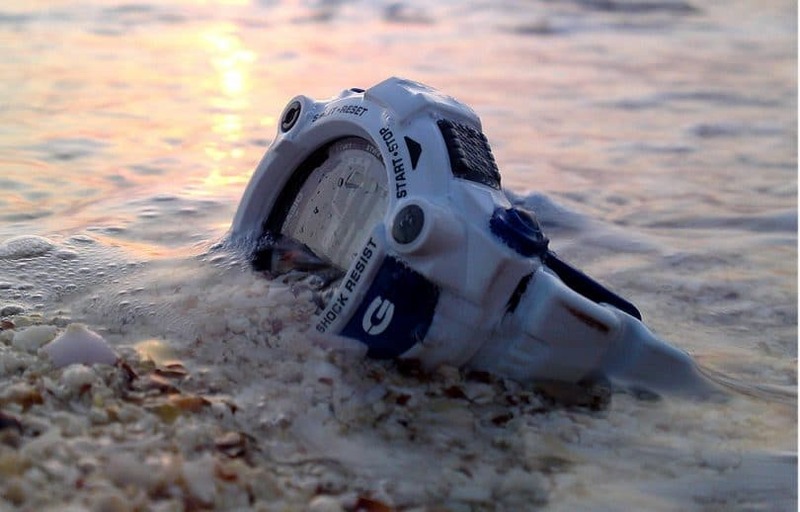 The watch is water-resistant up to a depth of 330 feet. While it’s okay to use it for snorkeling or swimming, it’s not the greatest choice when it comes to diving. All in all, this should be a great watch with a pretty affordable price that you can use while doing activities that involve water though again, don’t push its limits with diving. Related: The MECO Rechargeable Flashlight might be a great asset both to your survival and camping gear. The battery of the flashlight is built in and rechargeable – you’ll just need to crank it up for a few minutes to get hours of light. The flashlight itself is small enough to fit everywhere but also comes with a clip that can be attached to your backpack. Dimensions: 2.2 x 2.1 x 0.7 in. Description: The Casio G-Shock Rangeman Master of G Series Watch might be one of the most versatile and resourceful timepieces that you can buy when planning to go into the wilderness. Considering all of the features added to the watch, this piece is built for survival. It is incorporated with an altimeter, which has a measuring range of -2300 – 32800 feet, making it a great asset if hikes are your thing. The altimeter has memory measurements of up to forty records. 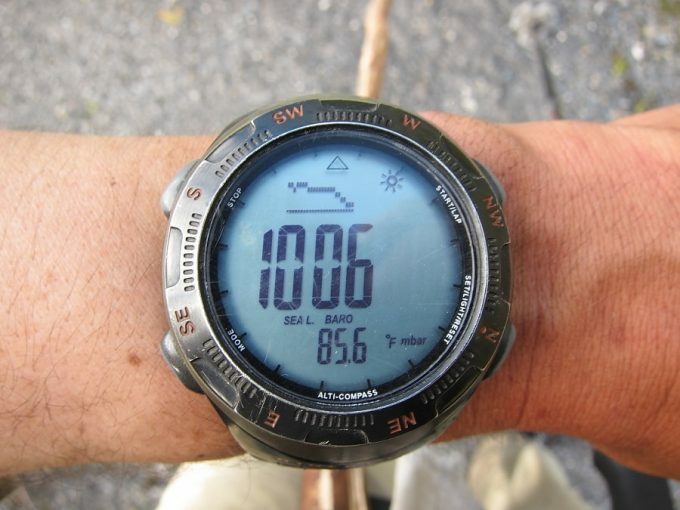 The next important feature that you can use to survive in the wild is the digital compass, which provides you with plenty of other features apart from the basic direction giving. The digital compass has 40 records bearing memory, a magnetic declination correction, and a sixty seconds continuous measurement among the rest. The barometer measures the atmospheric pressure of the area you are in as you are camping, biking, hiking or any other outdoor activity. It is fitted with a high-performing thermometer, which displays unit and range. It is installed with a multi-band atomic timekeeping, which supports UK, US, China, Japan, and Germany. The displayed time remains accurate when time calibration signals are received. The timepiece is shock resistant as well as mud resistant, meaning that you can use it in rainy and muddy conditions without it getting damaged. 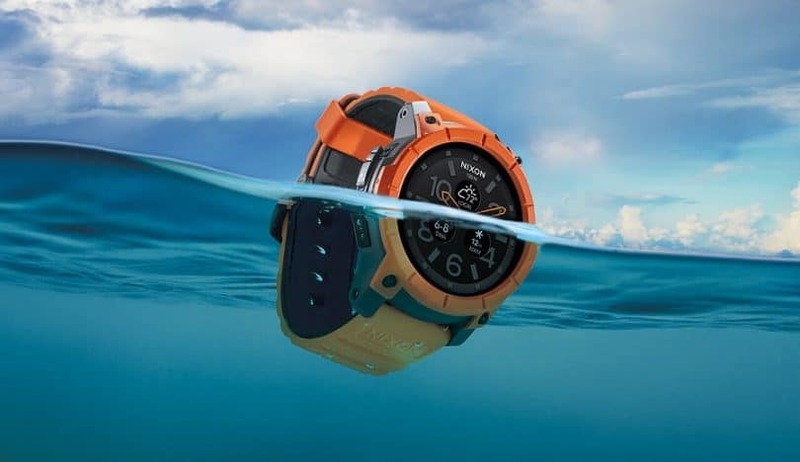 The 200-meter water resistant depth allows you to use the watch when swimming or snorkeling. However, it does not fare well when you use it for diving. It has low-temperature resistant capabilities, as low as 14°F so you can use it in low temperatures without any damage happening to the watch. 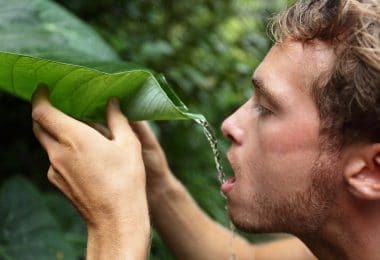 Related: The Potable Aqua Purification Tablets should be a very reliable component of your survival gear – you could treat up to 25 quarts of water with a single package! Within 30 minutes only, the tablets can make any questionable water suitable for drinking. Apart from that, the tablet containers are so small and light, you won’t even notice you wear them – ideal for whenever you’re on the go. Dimensions: 4.7 x 4.3 x 3.7 in. 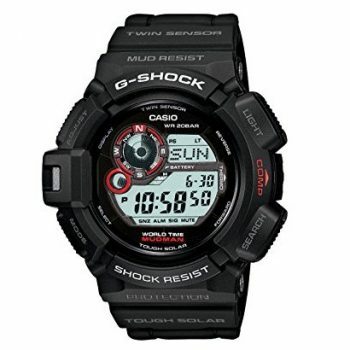 Description: The Casio G-Shock GST-S110-1ACR Watch features a classic Casio design. This is it if you are in need of a watch that does more than just tell you the time – since it’s a brand new release, it includes solar powering and a modern design. The regular timekeeping of this particular model includes both digital and analog so it caters to users with different needs. Since it’s water-resistant up to a depth of 200 meters, you can wear it during snorkeling or swimming, but skip wearing it for a dive and it should work properly for years to come. Considering all of the features included in the model, you might realize this watch is everything you could ever wish for as far as survival watches are concerned. When compared to most digital watches in the market, it does stand out as a unique model. The double LED light brightens the dial, providing you with enough light to read the time among other parameters. Related: If you’re looking for a fire starter you’ll never forget, then check out The Original Bomber Firestarter – you can wear it on your wrist! 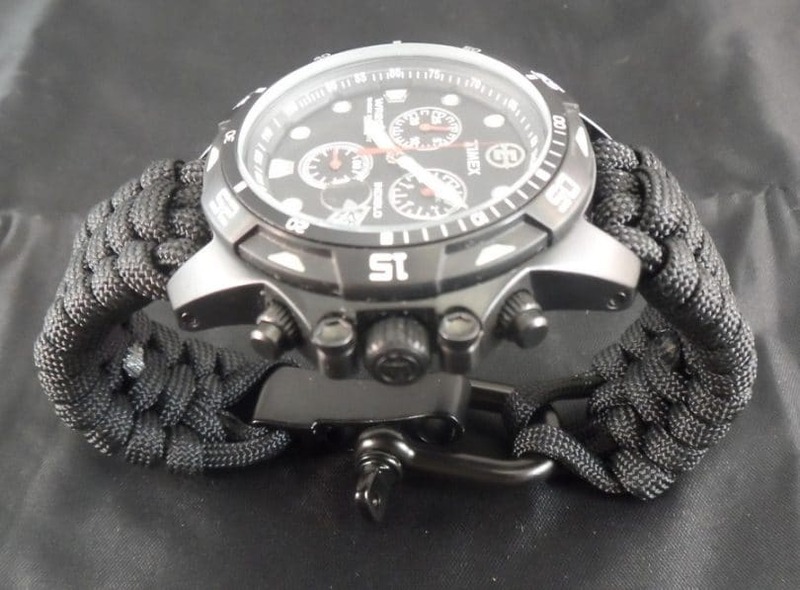 The firestarter is made for survival, as the paracord used in it is manufactured to reach military standards. The product comes with a lifetime guarantee and on top of that, you can replace it at any time if you’re not satisfied with it. Dimensions: 7 x 5.9 x 4.3 in. 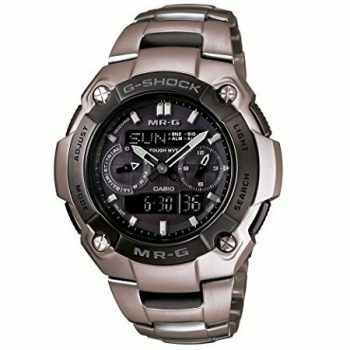 Description: The Casio G-Shock Gravity GPW-1000-1A Watch is heavy-duty and solar powered and it might be well worth the price. With a water-resistant depth of 200 meters, you can comfortably wear it when swimming or snorkeling. However, it’s best not to wear the watch when diving, as that might damage it. This specific model is GPS pre-programmed for more than 3,500 major locations across the globe. 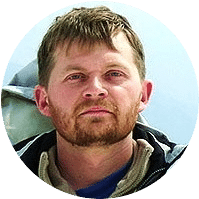 You should be able to pick up GPS satellites no matter your current location, making it ideal for survival and keeping track of your whereabouts. Each and every feature or spec serves its purpose as it should. You will rarely face any issues with this piece not unless you deliberately damage it. However, one thing that may be off-putting to some is the higher price. But if you’re looking to make a more serious investment as far as survival watches are concerned, you might want to give this one a try. 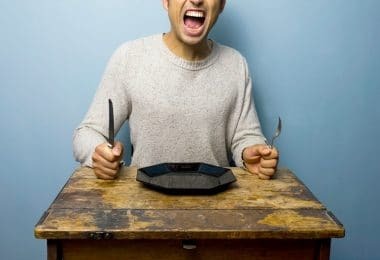 Related: The TOAKS Titanium Spork should be a part of every survival or camping gear – it’s a spoon and fork in one! Coming at an extremely affordable price, it’s a great tool that should save you a lot of valuable space. Considering it’s titanium-made, it should last for years while making sure you enjoy your meals in nature. Hopefully, we’ve managed to help you out by laying out the most basic features and showing you some of the best models available on the market. Don’t forget to think about when you’ll be using the watch the most, as that is very likely largely going to influence your final decision. Remember – a good-quality watch will never let you down when you need it the most. As long as you take good care of it, it should serve you for years. Do you think we might have accidentally missed out on any great watches? If so, please let us know in the comments – we’d love to hear more about your favorite survival watch!